The WITH ART program matches artists with community groups to collaborate on art projects that explore ideas and issues and give voice to community. The resulting voices were literal, loud, clear and strong. 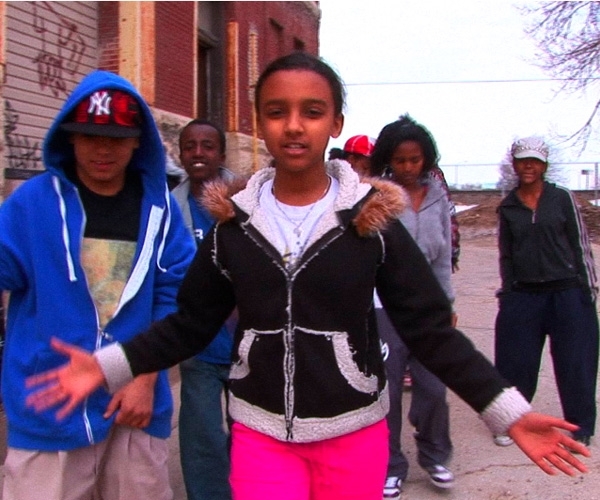 The filmmakers worked with the youth of the Immigrant and Refugee Community Organization of Manitoba to create a hip hop video and a documentary of the process. IRCOM, located at 95 Ellen Street in downtown Winnipeg, is a transitional housing complex and delivers social and recreation programs to newly arrived refugees and immigrants to Canada. Over 250 new immigrants from Afghanistan, Bangladesh, Burma, Burundi, Congo, Ethiopia, Eritrea, Iraq, Iran, Korea, Liberia, Nigeria, the Philippines, Russia, Rwanda, Sierra Leone, Somalia and Sudan live at IRCOM and access their programs – over half of whom are under the age of 18. Navigating their new environment is challenging and some youth become vulnerable to gang-related activities. The goal was to offer opportunities for more productive activities and creative growth. The artists, Jim Agapito and Ervin Chartrand, worked with the youth over an extended period and together developed a project that reflected an artistic style and content that was relevant to the youth. The filmmakers brought in Wab Kinew and Dammecia Hall who mentored the youth in hip hop writing and dance as well as other professional artists and craftspeople to create a high quality rap video and documentary of the process. The youth were able to decide what they wanted to communicate and in what fashion, making it a unique and personal, as well as a universal, expression of life in a new land. 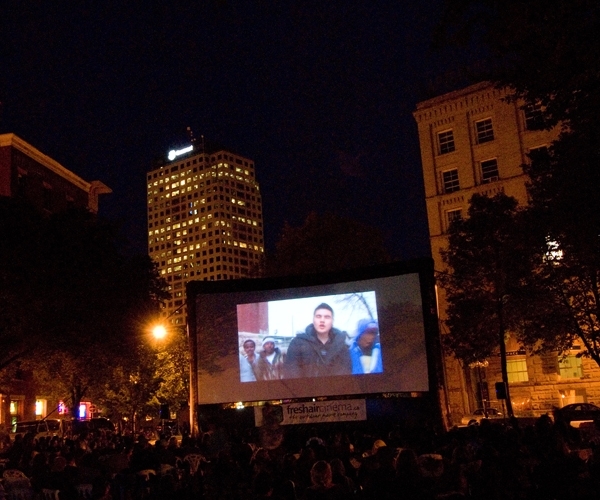 The films premiered in July 2009 to a full house at Cinematheque and in Market Square where the performers received a much-deserved standing ovation. The youth of IRCOM who wrote the music and performed in the films are: Azim Bekhodjavea, Takatel (T.K.) Dayasa, Dagmawit Fekede, Mandela Garang, Mohamed (M.D.) Mohamed, Musa (D.P.) Mohamed, Daniel Ogbagirgis, Biniom Tesfaldet and Jamshaid Wahabi. 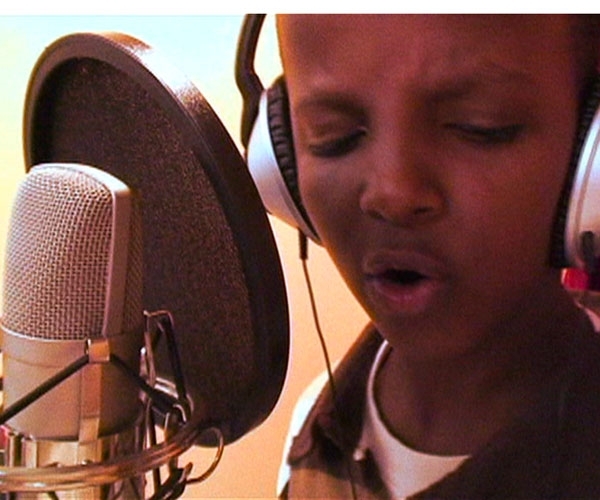 "Having the opportunity to work with the youth of IRCOM has opened our eyes to the power of music and filmmaking. All they needed was an outlet to channel their raw energy into something positive to keep them out of trouble. It's an experience both of us will cherish for a lifetime." Jim Agapito and Ervin Chartrand. 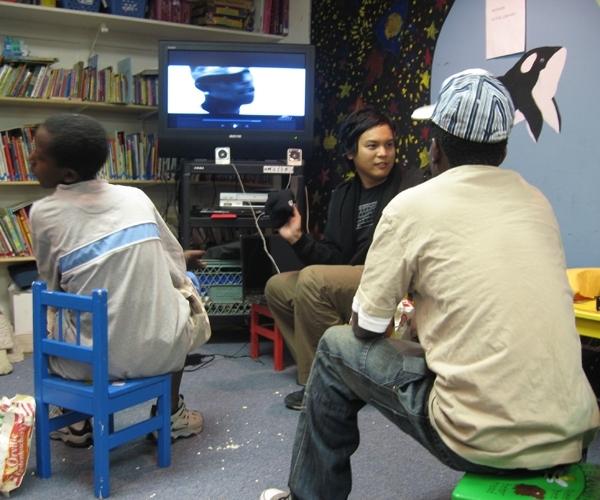 “The WITH ART project provided a vibrant and talented group of newcomer youth with the opportunity to share their voices and stories, using creative mediums that they resonate with – film and hip hop. The artists Ervin Chartrand and Jim Agapito not only shared their valuable skills but also identified with the backgrounds and daily challenges of the kids in many ways. WITH ART is a powerful program - it impacts hearts, minds and communities alike.” Abdikheir Ahmed, Program Co-ordinator and Noëlle DePape, Executive Director, IRCOM.